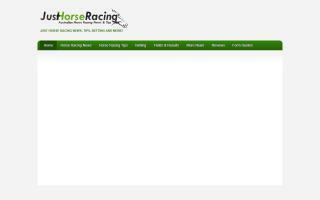 Horse Racing Directory - O Horse! Free entry to a virtual horse racing sweepstake competition. Entrants can experience the thrill of winning at horse racing without the need to wager money. 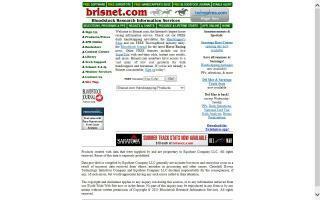 Horse racing and handicapping information from brisnet.com. Dedicated to handicappers of Thoroughbred horseracing. A guide to the famous Champion Hurdle event run on the first day of the Cheltenham Festival with information on Champion Hurdle betting, Cheltenham Festival odds, races, winners, travel, tickets, a racecourse guide and racing schedule. 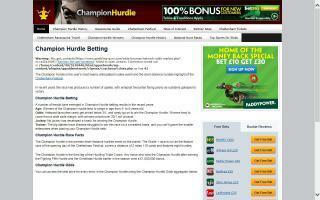 Excellent winning strike-rate and profits. Get free winners sent straight to your inbox plus horse racing articles, interviews, news, and special offers. As a special bonus, you will get our 'Better Betting' ebook which will help improve your punting profits. 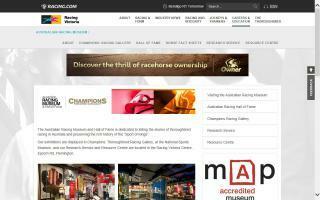 Museum of Australian Horse Racing, featuring Phar Lap, Carbine, the Melbourne Cup, rare articles, research and displays. A guide to the Cheltenham Gold Cup - a grade 1 National Hunt horse race. 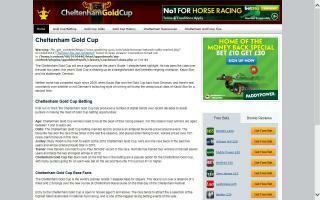 Onsite information on the Gold Cup history, tickets, travel the racecourse and more. A guide to the Eclipse Stakes offering information on the events, history, winners, records, and Sandown Park Racecourse, as well as the latest news, betting tips, and live betting odds. The 4-day Ebor Festival continues to be York racecourse's flagship event. Learn about the Ebor Festival Schedule, get tips on all the feature races, and more! 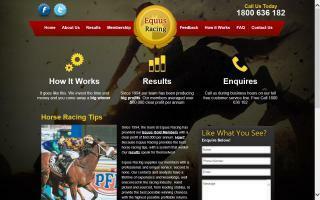 Equus Racing are a small team of expert horse trainers who live and breath horses. We provide inside information on backing horses along with simple, effective betting systems in order to provide the best results for your racing investments. If you're tired of being treated by the track as a wallet to be constantly milked dry, get one up on bookies with the best horse racing tips and finally turn a consistent profit. Scrap your old progressive betting and quaddies today and start winning with Equus Racing.